We accept several foreign interns every year. Here you can find internship reports and watch the movie of foreign interns. Because we already decided to accept 5 foreign interns in May and June 2019, we can accept some interns from July 2019. • This internship is unpaid. ISEP is not responsible for covering an intern’s salary, housing, or transportation costs. However, all ISEP interns are encouraged to participate in educational events, networking events, and conferences, thus making this internship a worthwhile investment in your academic and professional career. • You need to purchase internship insurance which is ¥3000 for 3 months coverage. • There are two primary responsibilities for ISEP interns: staff research project support and conducting independent studies. If you are interested in applying for this internship, please contact Mr. Noriaki Yamashita. 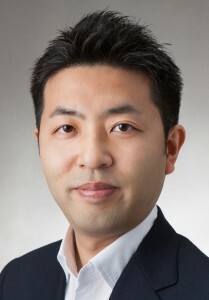 I’m Noriaki Yamashita, senior researcher and person in charge of internship at ISEP. I was also an ISEP intern in 2003. Current interns made these FAQs about internship in 2018. We are happy if these FAQs help you to consider internship. Q1. What is the background of current and fomer ISEP interns? Q2. Who are ISEP’s staff members? Q3. How is the internship experinece at ISEP different compared to other environmental NGO’s? Q4. What is the atmosphere at the office like? Q5. Can I intern at ISEP, even though I do not speak Japanese? Q6. Can you help me find an accomodation in Tokyo? Q7. What is the process like until I get accepted as an intern? Q8. Can I intern at ISEP only during summer? Q9. Why do I need to get an internship insurance. Q10. Is it possible to take days off while doing an internship at ISEP? Q11. How am I expected to dress at the office? Q12. What is a typical day like for ISEP interns? Q13. Is it possible to focus on my own research during my internship at ISEP? Q14. Other than work at ISEP office, what else can ISEP interns do? Q15. What kind of work are international interns typically engaged in at ISEP? Q16. Can you write me a recommendation letter after interning at ISEP? We accept interns from many different backgrounds. There are students that are majoring in law, economics, tourism, education, anthropology, chemistry, engineering, international relations, and so on at both bachelor and master levels. Interns are coming not only from Japan, but also from various countries including Germany, the United States, Australia and China just to name a few. In 2017 alone, ISEP welcomed 43 interns, 17 of whom were non-Japanese. The gender ratio of interns is usually 50/50. The Internship at ISEP is not exclusive to university students, but is open to those with professional working experience as well. With this great diversity, talking to other ISEP interns can bring you a whole new perspective of how you see the world. Although some students are already familiar with renewable energy when they start thier internship at ISEP, no prior knowledge in renewable energy is required as long as you are interested in the topic. Depending on their schedule, some ISEP interns work fulltime for a few months, while others work a few times a week for a longer period of time. People from miscellaneous backgrounds and professional experiences are currently working at ISEP as staff members. Many have engaged in international projects and others have obtained academic degrees at European universities. There are staff members that used to work for international cooperation agencies, the Japanese diet, consulting firms, and so on. While working on ISEP’s staff, some are also part-time university lecturers. Each staff member has a unique role and speciality at ISEP. Their work includes energy policy development at national and local governments, community-based renewable energy project development, consultation inside and outside of Japan, research in international renewable energy policy, district heating, solar sharing(agrovoltaic), etc. There are currently 15 staff members at ISEP and their ages range from late 20s to 50s. Being recognized by University of Pennsylvania in thier “2017 Global Go To Think Tank Index Report” as the top 31st Energy and Resource Policy Think Tank in the world, we believe that the ISEP internship experience is unique for the following traits. – You can learn various aspects of renewable energy including research, policy making, and community based business. – You can gain a cutting-edge insight into renewable energy through ISEP’s strong domestic and global network. – You can meet like-minded fellow interns who have an enormous interest in renewable energy. ISEP moved into a new three-story building in 2017. At this bright and clean office, decorated with Scandinavian furniture, there is a friendly and welcoming atmosphere. Because many ISEP staff members have events and projects across Japan and the world, normally there are only 4 to 5 staff members at the office at once. On the second floor, there are always tasty snacks brought from various regions around Japan and the world in the middle of the office for everyone to enjoy. The number of interns varies significantly throughout the year, with summer being the most popular time. Many clients visit ISEP office for meetings, providing interns with great opportunities to meet interesting people surounding renewable energy. Toward the end of the day around 18:00, it has become tradition for ISEP staffs and interns to ocasionally play UNO(card game) together to relax and get to know each other before they leave the office. Yes, it is possible. Most staff members and interns speak English, although the language proficiency of the employees varies. Please be warned that most of the meetings and events are held in Japanese. Therefore, although not required, it would be beneficial to speak at least some basic Japanese. Although we do not provide funding for housing or transportation, we can give you suggestions on reasonable accommodations. There are several foreigner friendly share houses and rental opportunities in Tokyo, depending on the visa you are traveling on and the duration of your stay. Generally, monthly rent in Tokyo is around ¥60,000. Staying at a share house is generally a cheaper option and gives you the added benefit of meeting new people. Transportation costs can be also significant, so it would be a good idea to factor them in when considering where to live. The recruiting process proceeds in the follwoing order. 1. You contact Mr. Yamashita via the “contact form”, in which you indicate your reasons for wanting to participate in an internship at ISEP along with basic information of yourself such as where you are from, what you do, what you are interested in, from when and for how long you want to intern, etc. 2. Mr. Yamashita will reach you as soon as possible, usually within 2 days (if not, please send message again via contact form). 3. You send your CV and a letter of motivatoin to Mr. Yamashita. 4. You have a skype interview with Mr. Yamashita for about 30 minutes or so. 5. Mr. Yamashita will help you to obtain a visa when necessary. 6. You come to Tokyo and start your internship at ISEP. Once you contact Mr. Yamashita(i.e. after 2), he will guide you through this recruiting process. Yes. There are in fact many interns that come to ISEP during their school breaks between semesters for a month or two. These interns, who work at ISEP for a short period of time, are accepted on condition that they work here full-time. We recommend interns to get an internship insurance to cover the cost of health problems or accident. If your insurance covers injuries or diseases in intern period in Japan, you don’t need to get an internship insurance. Please confirm the term and condition of your insurance beforehand. Yes. Working hours at ISEP are very flexible. If you participate in a internship at ISEP for an extended period of time and want to take some days off, for example to travel around Japan, during your internship, you can talk to Mr. Yamashita about your wish and plan your internship accordingly. It is also possible to come to the office in the afternoon or leave the office early in consultation with Mr. Yamashita when necessary. You can wear casual clothes at ISEP office. For example, some people wear a T-shirt and jeans in the summer, not shorts for summer. You are, however, highly recommended to bring a business suit so you can attend formal events and meetings occasionally held outside of the ISEP office. Typically, ISEP interns come to the office with their own laptop at 10:00 in the morning and work until 12:00 where they usually have a lunch break for about an hour. After a lunch break at a restaurant nearby or the meeting space on the first floor of the office, they get back to work. Once they finish their work, one intern writes in the daily intern diary and everyone leaves the office around 18:00. On your last working day of the week, everyone writes a weekly report explaining what they did at ISEP during that week. Your daily timetable, however, may vary greatly as ISEP interns have numerous opportunities to attend (and sometimes help out with) events and meetings held both within and outside of ISEP. In any case, it is extremely rare for ISEP interns to work after 18:00, so there is absolutely no need to worry about working overtime. Yes. You can either help with doing research on existing ISEP projects or you can conduct your own research. Since there are experts in renewable energy policies at ISEP, and also ISEP has close connections with renewable energy professionals outside its office, it is also an option to write your bachelor’s or master’s thesis here. ISEP interns are invited to attend various events: energy policy meetings at the congressional building where Japanese energy experts and diet members attend, symposiums and seminars on renewable energy that ISEP hosts or ISEP is partially involved in, and lectures ISEP staff members give on renewable energy. On average, there are 2 to 3 events every month. Through these events ISEP interns are able to meet many stakeholders including business people, environmental NGOs, government officers, and other energy researchers. Additionally, ISEP interns voluntarily organize “intern meetings”, where interns discuss a certain topic of their own personal interest regarding renewable energy after work. Normally, intern meetings take place once a month in a bilingual format (English and Japanese), and all interns including former interns are invited. This event is organized by interns for interns, so what happens during this meeting is essentially up to interns(namely YOU)! ISEP interns’ primary responsibility is to help ISEP staff members with their research and projects. Mr. Yamashita assigns you work according to your skillsets and interests. If you are fluent in Japanese, your work options increase considerably. However, even if you speak little Japanese, there are still many ways for you to contribute to ISEP. One common example is to conduct research on energy policies and situations in your home country in comparison to Japan and give presentations on the topic. ISEP staff members and fellow interns are always interested in learning from other countries. Another example is English proofreading if you are a native English speaker. Being an international institute, ISEP issues documents should not only in be Japanese, but also in English in order make them more acessible to foreign audiences. Yes. Mr. Yamashita can write a recommendation letter for you based on your contribution at ISEP. If you need a recommendation letter, please consult with him well in advance.